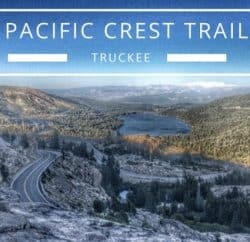 I’m back to report on the next segment of my Pacific Crest Trail hike. 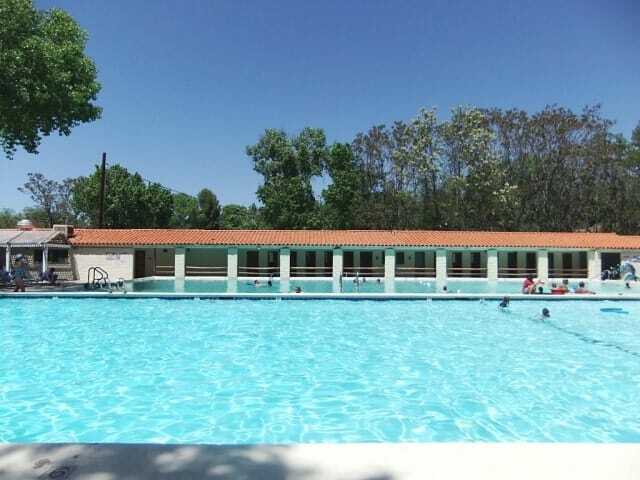 When I last left off, I was at Warner Springs, a resort in eastern San Diego County. Although in the “middle of nowhere”, Warner Springs features an 18 hole golf course, their own small airport, hot springs pools, nice restaurant, etc. I spent a couple of days relaxing, making small adjustments to my gear, picking up my re-supply box, etc. 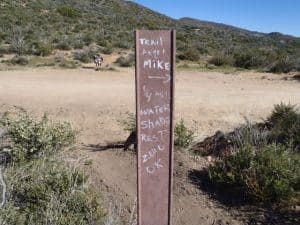 While getting ready to leave, I learned of a trail angel named Mike Herrera who lives in the desert 17 miles north of Warner. 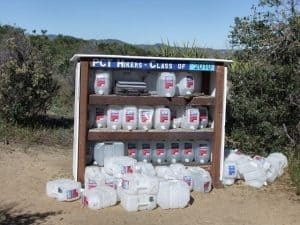 He was offering all the hikers leaving the resort a place to stop where they could get water, a hot meal and a place to camp. So, that was my goal for the day. The hiking was hot and desolate. The desert can be beautiful but it can also be hot, dusty, dry and lonesome. Finally, after a long and hot day, I came to Chihuahua Valley Road and a sign that announced that Mike’s place was around the bend. I camped in the yard and joined other hikers who had also found their way here for some stories of the trail and a hot meal. The next morning, May 4th, I took off early to beat the heat. 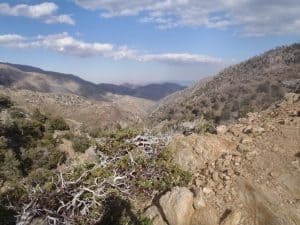 My destination was Coyote Canyon at mile 140. 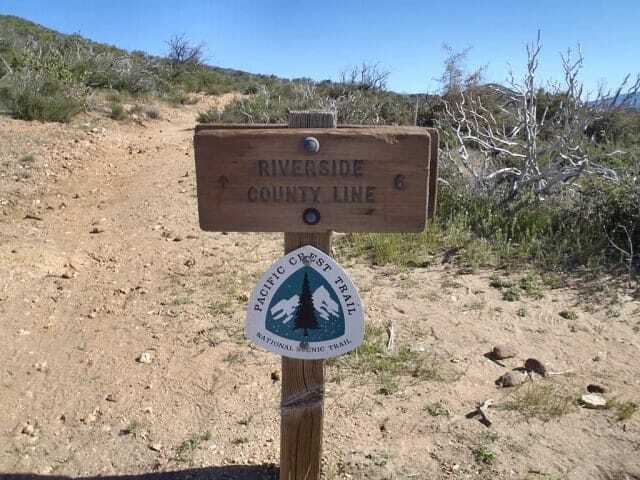 At mile 133, I crossed into Riverside County. One county down and many more to go! I finally arrived shortly after 5 in the afternoon. I was able to set up camp in a nice spot and settled in for the evening. Wednesday, May 5th, I was up early again and on the trail before it got too hot. I was headed for Hwy 74, the “Palms to Pines” Highway. 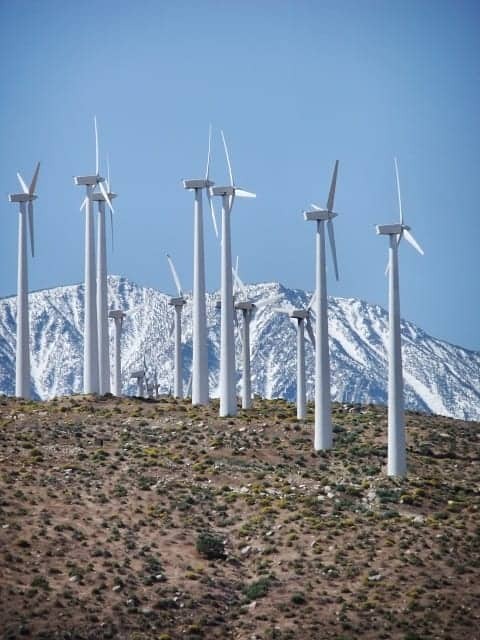 There, friends were going to meet me and give me a ride to their home in La Quinta, near Palm Springs. Tonight – I would sleep in a real bed! It was a very hot day and my feet took a beating. The heat caused them to swell and this caused blisters, the first of the trip. I have hiked a lot over the years and rarely do I get blisters. But – today, even with regular changing of my socks, I got several blisters. 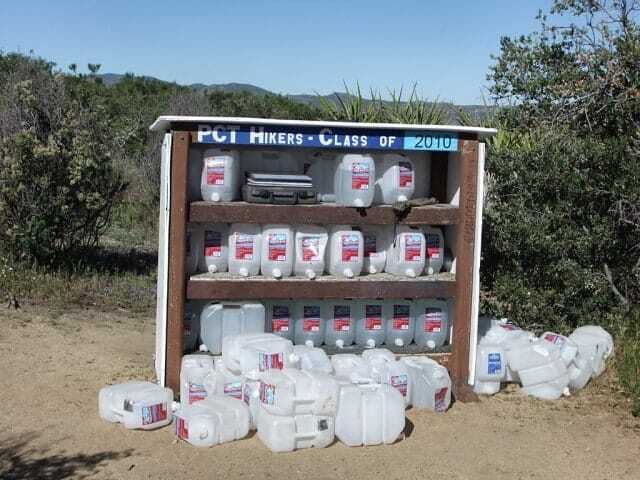 Along the way, I came to a spot known as “Hiker Oasis” at mile 142.7. This spot includes a water cache and today was manned by trail angel, “AM’ who was cooking hot dogs for all who came by. I hit the highway shortly before 2pm and hooked up with my friends. I enjoyed a day and half in the Palm Springs area which allowed my feet to rest and the blisters to subside. 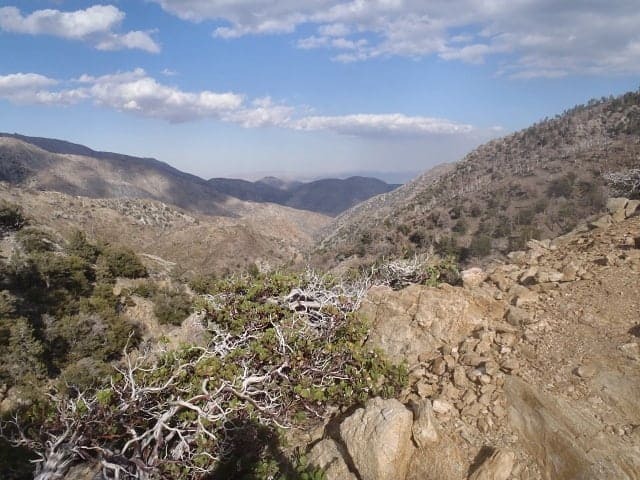 Friday, May 7th, I hit the trail again and headed north into the San Jacinto Wilderness area. 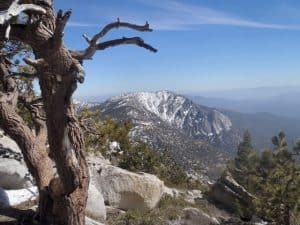 The mountains above Palm Springs were still covered with snow and the next couple of days proved to be difficult, especially the Fuller Ridge area. My Kahtoola Microspikes proved invaluable as I negotiated several difficult traverses across north facing slopes covered with snow. It took until Monday the 10th to make it through to Interstate 10. The weather ranged from crystal clear and warm to zero visibility and snow at the north end of Fuller Ridge. My friends picked me up at I-10 and I enjoyed another night at their home in La Quinta. This gave me a chance to dry out, warm up and do some laundry. 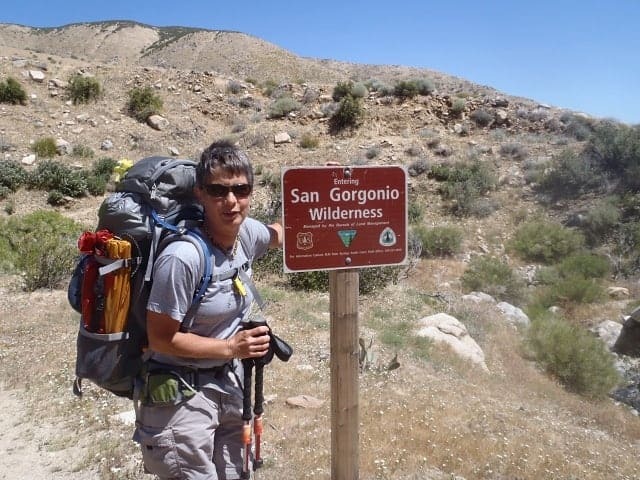 Tuesday, May 11th I hit the trail again in the Whitewater Canyon area at San Gorgonio Pass. 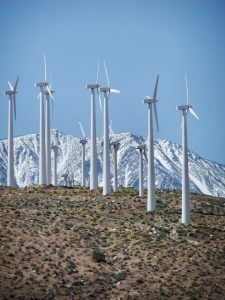 Today was a long uphill section through the high desert punctuated by the numerous energy producing wind farms of the region. I continued until late afternoon where I made camp near Mission Creek at mile 227. 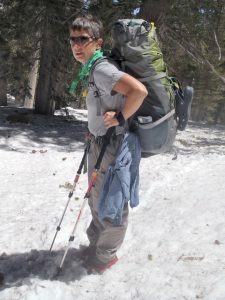 Wednesday, the 11th, I continued uphill towards the Mission Creek Trail Camp. It was about this time in the trip where I received my trail name. It is a tradition in the hiker community to forgo one’s real and often complicated name for a simpler, more fitting “trail name”, usually assigned by one’s hiking partners along the trail. 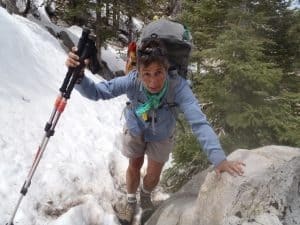 If you follow any of the journal sites, read any of the hiker log-books or keep up with the Internet Mailing lists on long distance hiking, you have probably noticed some strange monikers like “Eagle Eye”, “Backwards”, “Six Toes”, etc. 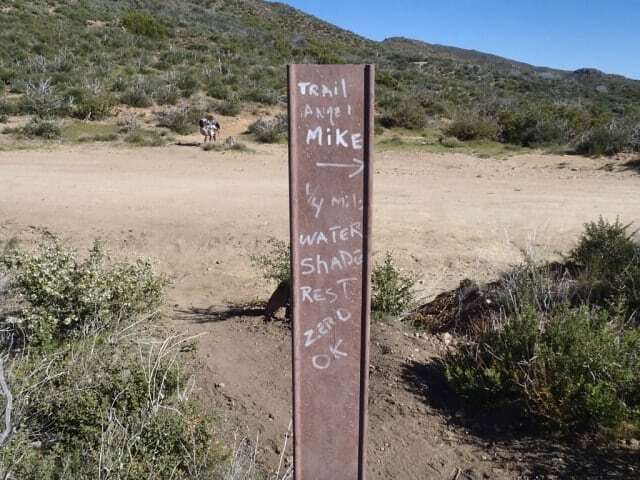 Generations of hikers have adopted these classic re-namings along the trail. Well, I am now officially known as “Pinball”. I tend to bounce around a lot, full of energy, never in one place for long. Thus, Pinball! Finally around 7pm, I made the trail camp and settled in for the night. Thursday morning dawned clear and cold. After a cup of instant coffee courtesy of my JetBoil stove, I packed up and hit the trail. 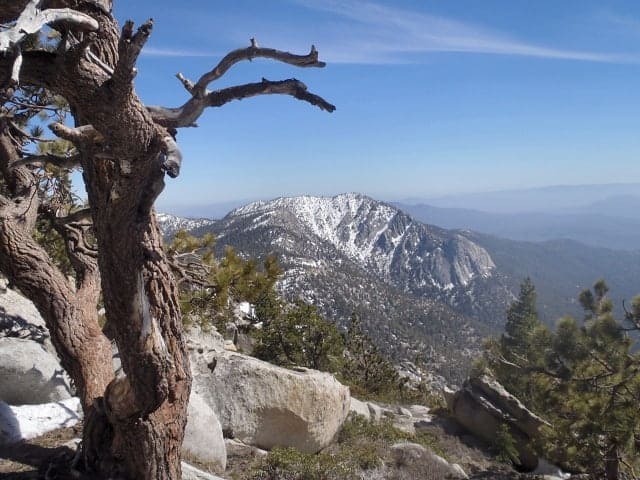 My destination was Onyx Summit at an elevation of 8450, mile 252. That would put me into a good position to make Big Bear and my next re-supply on Friday afternoon. 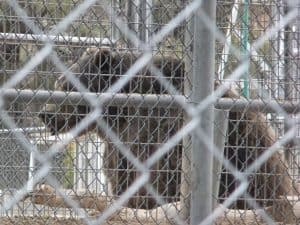 I settled in for the evening a couple of miles north of the animals. Tomorrow – Big Bear, a zero day and a reunion with my husband who is flying in on Saturday! Friday morning was cold and I hit the trail early. 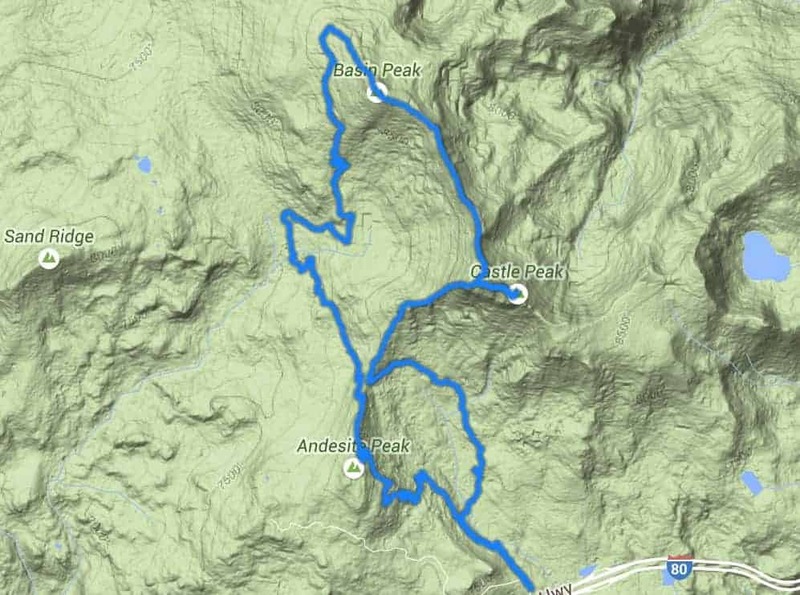 I made good time as it was mostly downhill to Big Bear. When the trail crossed the highway, I quickly caught a ride into town. My trail angel ride even took me to the grocery store before dropping me off in the driveway of a friend’s cabin which would become my personal hide-a-way for the next couple of days.